“FDA” redirects here. For other uses, see FDA (disambiguation). Not to be confused with Drug Enforcement Administration. The Food and Drug Administration (FDA or USFDA) is a federal agency of the United States Department of Health and Human Services, one of the United States federal executive departments. The FDA is responsible for protecting and promoting public health through the control and supervision of food safety, tobacco products, dietary supplements, prescription and over-the-counter pharmaceutical drugs (medications), vaccines, biopharmaceuticals, blood transfusions, medical devices, electromagnetic radiation emitting devices (ERED), cosmetics, animal foods & feed and veterinary products. As of 2017, 3/4th of the FDA budget (approximately $700 million) is paid by people who consume pharmaceutical products, due to the Prescription Drug User Fee Act. The FDA was empowered by the United States Congress to enforce the Federal Food, Drug, and Cosmetic Act, which serves as the primary focus for the Agency; the FDA also enforces other laws, notably Section 361 of the Public Health Service Act and associated regulations, many of which are not directly related to food or drugs. These include regulating lasers, cellular phones, condoms and control of disease on products ranging from certain household pets to sperm donation for assisted reproduction. The FDA is led by the Commissioner of Food and Drugs, appointed by the President with the advice and consent of the Senate. The Commissioner reports to the Secretary of Health and Human Services. Scott Gottlieb, M.D. is the current commissioner, who took over in May 2017. The FDA has its headquarters in unincorporated White Oak, Maryland. The agency also has 223 field offices and 13 laboratories located throughout the 50 states, the United States Virgin Islands, and Puerto Rico. In 2008, the FDA began to post employees to foreign countries, including China, India, Costa Rica, Chile, Belgium, and the United Kingdom. While most of the Centers are located in the Washington, D.C. area as part of the Headquarters divisions, two offices – the Office of Regulatory Affairs (ORA) and the Office of Criminal Investigations (OCI) – are primarily field offices with a workforce spread across the country. The Office of Regulatory Affairs is considered the “eyes and ears” of the agency, conducting the vast majority of the FDA’s work in the field. Consumer Safety Officers, more commonly called Investigators, are the individuals who inspect production and warehousing facilities, investigate complaints, illnesses, or outbreaks, and review documentation in the case of medical devices, drugs, biological products, and other items where it may be difficult to conduct a physical examination or take a physical sample of the product. The Office of Regulatory Affairs is divided into five regions, which are further divided into 20 districts. Districts are based roughly on the geographic divisions of the federal court system. Each district comprises a main district office and a number of Resident Posts, which are FDA remote offices that serve a particular geographic area. ORA also includes the Agency’s network of regulatory laboratories, which analyze any physical samples taken. Though samples are usually food-related, some laboratories are equipped to analyze drugs, cosmetics, and radiation-emitting devices. The Office of Criminal Investigations was established in 1991 to investigate criminal cases. Unlike ORA Investigators, OCI Special Agents are armed, and don’t focus on technical aspects of the regulated industries. OCI agents pursue and develop cases where individuals and companies have committed criminal actions, such as fraudulent claims, or knowingly and willfully shipping known adulterated goods in interstate commerce. In many cases, OCI pursues cases involving Title 18 violations (e.g., conspiracy, false statements, wire fraud, mail fraud), in addition to prohibited acts as defined in Chapter III of the FD&C Act. OCI Special Agents often come from other criminal investigations backgrounds, and work closely with the Federal Bureau of Investigation, Assistant Attorney General, and even Interpol. OCI receives cases from a variety of sources—including ORA, local agencies, and the FBI—and works with ORA Investigators to help develop the technical and science-based aspects of a case. OCI is a smaller branch, comprising about 200 agents nationwide. The FDA frequently works with other federal agencies, including the Department of Agriculture, Drug Enforcement Administration, Customs and Border Protection, and Consumer Product Safety Commission. Often local and state government agencies also work with the FDA to provide regulatory inspections and enforcement action. The FDA regulates more than US$2.4 trillion worth of consumer goods, about 25% of consumer expenditures in the United States. This includes $466 billion in food sales, $275 billion in drugs, $60 billion in cosmetics and $18 billion in vitamin supplements. Much of these expenditures are for goods imported into the United States; the FDA is responsible for monitoring imports. The FDA’s federal budget request for fiscal year (FY) 2012 totaled $4.36 billion, while the proposed 2014 budget is $4.7 billion. About $2 billion of this budget is generated by user fees. Pharmaceutical firms pay the majority of these fees, which are used to expedite drug reviews. The FDA’s federal budget request for fiscal year (FY) 2008 (October 2007 through September 2008) totaled $2.1 billion, a $105.8 million increase from what it received for fiscal year 2007. In February 2008, the FDA announced that the Bush Administration’s FY 2009 budget request for the agency was just under $2.4 billion: $1.77 billion in budget authority (federal funding) and $628 million in user fees. The requested budget authority was an increase of $50.7 million more than the FY 2008 funding – about a three percent increase. In June 2008, Congress gave the agency an emergency appropriation of $150 million for FY 2008 and another $150 million. Most federal laws concerning the FDA are part of the Food, Drug and Cosmetic Act, (first passed in 1938 and extensively amended since) and are codified in Title 21, Chapter 9 of the United States Code. Other significant laws enforced by the FDA include the Public Health Service Act, parts of the Controlled Substances Act, the Federal Anti-Tampering Act, as well as many others. In many cases these responsibilities are shared with other federal agencies. The programs for safety regulation vary widely by the type of product, its potential risks, and the regulatory powers granted to the agency. For example, the FDA regulates almost every facet of prescription drugs, including testing, manufacturing, labeling, advertising, marketing, efficacy, and safety—yet FDA regulation of cosmetics focuses primarily on labeling and safety. The FDA regulates most products with a set of published standards enforced by a modest number of facility inspections. Inspection observations are documented on Form 483. In June 2018, the FDA released a statement regarding new guidelines to help food and drug manufacturers “implement protections against potential attacks on the U.S. food supply”. One of the new guidelines includes the Intentional Adulteration (IA) rule, which requires strategies and procedures by the food industry to reduce the risk of compromise in facilities and processes that are significantly vulnerable. On February 4, 2011, Prime Minister of Canada Stephen Harper and United States President Barack Obama issued a “Declaration on a Shared Vision for Perimeter Security and Economic Competitiveness” and announced the creation of the Canada-United States Regulatory Cooperation Council (RCC) “to increase regulatory transparency and coordination between the two countries”. The regulation of food and dietary supplements by the U.S. Food and Drug Administration is governed by various statutes enacted by the United States Congress and interpreted by the FDA. Pursuant to the Federal Food, Drug, and Cosmetic Act (“the Act”) and accompanying legislation, the FDA has authority to oversee the quality of substances sold as food in the United States, and to monitor claims made in the labeling about both the composition and the health benefits of foods. The FDA subdivides substances that it regulates as food into various categories—including foods, food additives, added substances (man-made substances that are not intentionally introduced into food, but nevertheless end up in it), and dietary supplements. Specific standards the FDA exercises differ from one category to the next. Furthermore, legislation had granted the FDA a variety of means to address violations of standards for a given substance category. The FDA does not approve applied coatings used in the food processing industry. There is no review process to approve the composition of nonstick coatings, nor does the FDA inspect or test these materials. Through their governing of processes, however, the FDA does have a set of regulations that cover the formulation, manufacturing, and use of nonstick coatings. Hence, materials like Polytetrafluoroethylene (Teflon) are not, and cannot be, considered as FDA Approved, rather, they are “FDA Compliant” or “FDA Acceptable”. FDA Building 51 houses the Center for Drug Evaluation and Research. The Center for Drug Evaluation and Research uses different requirements for the three main drug product types: new drugs, generic drugs, and over-the-counter drugs. A drug is considered “new” if it is made by a different manufacturer, uses different excipients or inactive ingredients, is used for a different purpose, or undergoes any substantial change. The most rigorous requirements apply to new molecular entities: drugs that are not based on existing medications. New drugs receive extensive scrutiny before FDA approval in a process called a new drug application (NDA). Critics, however, argue that the FDA standards are not sufficiently rigorous, allowing unsafe or ineffective drugs to be approved. New drugs are available only by prescription by default. A change to over-the-counter (OTC) status is a separate process, and the drug must be approved through an NDA first. A drug that is approved is said to be “safe and effective when used as directed”. Some very rare limited exceptions to this multi-step process involving animal testing and controlled clinical trials can be granted out of compassionate use protocols, as was the case during the 2015 Ebola epidemic with the use, by prescription and authorization, of ZMapp and other experimental treatments, and for new drugs that can be used to treat debilitating and/or very rare conditions for which no existing remedies or drugs are satisfactory, or where there has not been an advance in a long period of time. The studies are progressively longer, gradually adding more individuals as they progress from stage I to stage III, normally over a period of years, and normally involve drug companies, the government and its laboratories, and often medical schools and hospitals and clinics. However, any exceptions to the aforementioned process are subject to strict review and scrutiny and conditions, and are only given if a substantial amount of research and at least some preliminary human testing has shown that they are believed to be somewhat safe and possibly effective. The FDA’s Office of Prescription Drug Promotion reviews and regulates prescription drug advertising and promotion through surveillance activities and issuance of enforcement letters to pharmaceutical manufacturers. Advertising and promotion for over-the-counter drugs is regulated by the Federal Trade Commission. The drug advertising regulation contains two broad requirements: (1) a company may advertise or promote a drug only for the specific indication or medical use for which it was approved by FDA. Also, an advertisement must contain a “fair balance” between the benefits and the risks (side effects) of a drug. The term off-label refers to drug usage for indications other than those approved by the FDA. After NDA approval, the sponsor must review and report to the FDA every patient adverse drug experience it learns of. They must report unexpected serious and fatal adverse drug events within 15 days, and other events on a quarterly basis. The FDA also receives directly adverse drug event reports through its MedWatch program. These reports are called “spontaneous reports” because reporting by consumers and health professionals is voluntary. While this remains the primary tool of postmarket safety surveillance, FDA requirements for postmarketing risk management are increasing. As a condition of approval, a sponsor may be required to conduct additional clinical trials, called Phase IV trials. In some cases, the FDA requires risk management plans (“Risk Evaluation and Mitigation Strategies” or “REMS”) for some drugs that require actions to be taken to ensure that the drug is used safely. For example, thalidomide can cause birth defects but has uses that outweigh the risks if men and women taking the drugs do not conceive a child; a REMS program for thalidomide mandates an auditable process to ensure that people taking the drug take action to avoid pregnancy; many opioid drugs have REMS programs to avoid addiction and diversion of drugs. There is also a REMS program called iPLEDGE for the drug, isotretinoin. Generic drugs are chemical equivalents of name-brand drugs whose patents have expired. In general, they are less expensive than their name brand counterparts, are manufactured and marketed by other companies and, in the 1990s, accounted for about a third of all prescriptions written in the United States. For approval of a generic drug, the U.S. Food and Drug Administration (FDA) requires scientific evidence that the generic drug is interchangeable with or therapeutically equivalent to the originally approved drug. This is called an “ANDA” (Abbreviated New Drug Application). As of 2012 80% of all FDA approved drugs are available in generic form. In 1989, a major scandal erupted involving the procedures used by the FDA to approve generic drugs for sale to the public. Charges of corruption in generic drug approval first emerged in 1988, in the course of an extensive congressional investigation into the FDA. The oversight subcommittee of the United States House Energy and Commerce Committee resulted from a complaint brought against the FDA by Mylan Laboratories Inc. of Pittsburgh. When its application to manufacture generics were subjected to repeated delays by the FDA, Mylan, convinced that it was being discriminated against, soon began its own private investigation of the agency in 1987. Mylan eventually filed suit against two former FDA employees and four drug-manufacturing companies, charging that corruption within the federal agency resulted in racketeering and in violations of antitrust law. “The order in which new generic drugs were approved was set by the FDA employees even before drug manufacturers submitted applications” and, according to Mylan, this illegal procedure was followed to give preferential treatment to certain companies. During the summer of 1989, three FDA officials (Charles Y. Chang, David J. Brancato, Walter Kletch) pleaded guilty to criminal charges of accepting bribes from generic drugs makers, and two companies (Par Pharmaceutical and its subsidiary Quad Pharmaceuticals) pleaded guilty to giving bribes. Furthermore, it was discovered that several manufacturers had falsified data submitted in seeking FDA authorization to market certain generic drugs. Vitarine Pharmaceuticals of New York, which sought approval of a generic version of the drug Dyazide, a medication for high blood pressure, submitted Dyazide, rather than its generic version, for the FDA tests. In April 1989, the FDA investigated 11 manufacturers for irregularities; and later brought that number up to 13. Dozens of drugs were eventually suspended or recalled by manufacturers. In the early 1990s, the U.S. Securities and Exchange Commission filed securities fraud charges against the Bolar Pharmaceutical Company, a major generic manufacturer based in Long Island, New York. Over-the-counter (OTC) drugs like aspirin are drugs and combinations that do not require a doctor’s prescription. Many OTC drug ingredients had been previously approved prescription drugs now deemed safe enough for use without a medical practitioner‘s supervision like ibuprofen. In 2014, the FDA added an Ebola treatment being developed by Canadian pharmaceutical company Tekmira to the Fast Track program, but halted the phase 1 trials in July pending the receipt of more information about how the drug works. This is seen as increasingly important in the face of a major outbreak of the disease in West Africa that began in late March 2014 and continued as of August 2014[update]. The Center for Biologics Evaluation and Research is the branch of the FDA responsible for ensuring the safety and efficacy of biological therapeutic agents. These include blood and blood products, vaccines, allergenics, cell and tissue-based products, and gene therapy products. New biologics are required to go through a premarket approval process called a Biologics License Application (BLA), similar to that for drugs. The original authority for government regulation of biological products was established by the 1902 Biologics Control Act, with additional authority established by the 1944 Public Health Service Act. Along with these Acts, the Federal Food, Drug, and Cosmetic Act applies to all biologic products, as well. 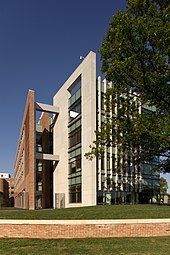 Originally, the entity responsible for regulation of biological products resided under the National Institutes of Health; this authority was transferred to the FDA in 1972. The Center for Devices and Radiological Health (CDRH) is the branch of the FDA responsible for the premarket approval of all medical devices, as well as overseeing the manufacturing, performance and safety of these devices. The definition of a medical device is given in the FD&C Act, and it includes products from the simple toothbrush to complex devices such as implantable neurostimulators. CDRH also oversees the safety performance of non-medical devices that emit certain types of electromagnetic radiation. Examples of CDRH-regulated devices include cellular phones, airport baggage screening equipment, television receivers, microwave ovens, tanning booths, and laser products. CDRH regulatory powers include the authority to require certain technical reports from the manufacturers or importers of regulated products, to require that radiation-emitting products meet mandatory safety performance standards, to declare regulated products defective, and to order the recall of defective or noncompliant products. CDRH also conducts limited amounts of direct product testing. Clearance requests are for medical devices that prove they are “substantially equivalent” to the predicate devices already on the market. Approved requests are for items that are new or substantially different and need to demonstrate “safety and efficacy”, for example it may be inspected for safety in case of new toxic hazards. Both aspects need to be proved or provided by the submitter to ensure proper procedures are followed. Cosmetics are regulated by the Center for Food Safety and Applied Nutrition, the same branch of the FDA that regulates food. Cosmetic products are not, in general, subject to premarket approval by the FDA unless they make “structure or function claims” that make them into drugs (see Cosmeceutical). However, all color additives must be specifically FDA approved before manufacturers can include them in cosmetic products sold in the U.S. The FDA regulates cosmetics labeling, and cosmetics that have not been safety tested must bear a warning to that effect. Though the cosmetic industry is predominantly responsible in ensuring the safety of its products, the FDA also has the power to intervene when necessary to protect the public but in general does not require pre-market approval or testing. Companies are required to place a warning note on their products if they have not been tested. Experts in cosmetic ingredient reviews also play a role in monitoring safety through influence on the use of ingredients, but also lack legal authority. Overall the organization has reviewed about 1,200 ingredients and has suggested that several hundred be restricted, but there is no standard or systemic method for reviewing chemicals for safety and a clear definition of what is meant by ‘safety’ so that all chemicals are tested on the same basis. The Center for Veterinary Medicine (CVM) is the branch of the FDA that regulates food additives and drugs that are given to animals. CVM does not regulate vaccines for animals; these are handled by the United States Department of Agriculture. CVM’s primary focus is on medications that are used in food animals and ensuring that they do not affect the human food supply. The FDA’s requirements to prevent the spread of bovine spongiform encephalopathy are also administered by CVM through inspections of feed manufacturers. In 2009, Congress passed a law requiring color warnings on cigarette packages and on printed advertising, in addition to text warnings from the U.S. Surgeon General. The nine new graphic warning labels were announced by the FDA in June 2011 and were scheduled to be required to appear on packaging by September 2012. The implementation date is uncertain, due to ongoing proceedings in the case of R.J. Reynolds Tobacco Co. v. U.S. Food and Drug Administration. R.J. Reynolds, Lorillard, Commonwealth Brands Inc., Liggett Group LLC and Santa Fe Natural Tobacco Company Inc. have filed suit in Washington, D.C. federal court claiming that the graphic labels are an unconstitutional way of forcing tobacco companies to engage in anti-smoking advocacy on the government’s behalf. A First Amendment lawyer, Floyd Abrams, is representing the tobacco companies in the case, contending requiring graphic warning labels on a lawful product cannot withstand constitutional scrutiny. The Association of National Advertisers and the American Advertising Federation have also filed a brief in the suit, arguing that the labels infringe on commercial free speech and could lead to further government intrusion if left unchallenged. In November 2011, Federal judge Richard Leon of the U.S. District Court for the District of Columbia temporarily halted the new labels, likely delaying the requirement that tobacco companies display the labels. The U.S. Supreme Court ultimately could decide the matter. In July 2017, the FDA announced a plan that would reduce the current levels of nicotine permitted in tobacco cigarettes. With acceptance of premarket notification 510(k) k033391 in January 2004, the FDA granted Dr. Ronald Sherman permission to produce and market medical maggots for use in humans or other animals as a prescription medical device. Medical maggots represent the first living organism allowed by the Food and Drug Administration for production and marketing as a prescription medical device. In June 2004, the FDA cleared Hirudo medicinalis (medicinal leeches) as the second living organism to be used as a medical device. The FDA also requires milk to be pasteurized to remove bacteria. The FDA cooperated with international regulatory and law enforcement agencies through Interpol as part of Operation Pangea XI from Oct. 9 to Oct. 16, 2018. The FDA targeted 465 websites that illegally sold potentially dangerous, unapproved versions of opioid, oncology and antiviral prescription drugs to U.S. consumers. In terms of money laundering, the FDA targeted transaction laundering schemes in order to uncover the complex online drug network. In addition to its regulatory functions, the FDA carries out research and development activities to develop technology and standards that support its regulatory role, with the objective of resolving scientific and technical challenges before they become impediments. The FDA’s research efforts include the areas of biologics, medical devices, drugs, women’s health, toxicology, food safety and applied nutrition, and veterinary medicine. The FDA has collected a large amount of data through decades. In March 2013, OpenFDA was created to enable easy access of the data for the public. Up until the 20th century, there were few federal laws regulating the contents and sale of domestically produced food and pharmaceuticals, with one exception being the short-lived Vaccine Act of 1813. The history of the FDA can be traced to the latter part of the 19th century and the U.S. Department of Agriculture‘s Division of Chemistry, later its Bureau of Chemistry. Under Harvey Washington Wiley, appointed chief chemist in 1883, the Division began conducting research into the adulteration and misbranding of food and drugs on the American market. 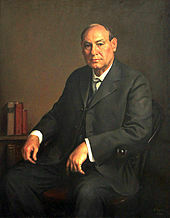 Wiley’s advocacy came at a time when the public had become aroused to hazards in the marketplace by muckraking journalists like Upton Sinclair, and became part of a general trend for increased federal regulations in matters pertinent to public safety during the Progressive Era. The 1902 Biologics Control Act was put in place after a diphtheria antitoxin—derived from tetanus-contaminated serum—was used to produce a vaccine that caused the deaths of thirteen children in St. Louis, Missouri. The serum was originally collected from a horse named Jim, who had contracted tetanus. In June 1906, President Theodore Roosevelt signed into law the Pure Food and Drug Act, also known as the “Wiley Act” after its chief advocate. The Act prohibited, under penalty of seizure of goods, the interstate transport of food that had been “adulterated”. The act applied similar penalties to the interstate marketing of “adulterated” drugs, in which the “standard of strength, quality, or purity” of the active ingredient was not either stated clearly on the label or listed in the United States Pharmacopoeia or the National Formulary. The responsibility for examining food and drugs for such “adulteration” or “misbranding” was given to Wiley’s USDA Bureau of Chemistry. Wiley used these new regulatory powers to pursue an aggressive campaign against the manufacturers of foods with chemical additives, but the Chemistry Bureau’s authority was soon checked by judicial decisions, which narrowly defined the bureau’s powers and set high standards for proof of fraudulent intent. In 1927, the Bureau of Chemistry’s regulatory powers were reorganized under a new USDA body, the Food, Drug, and Insecticide organization. This name was shortened to the Food and Drug Administration (FDA) three years later. By the 1930s, muckraking journalists, consumer protection organizations, and federal regulators began mounting a campaign for stronger regulatory authority by publicizing a list of injurious products that had been ruled permissible under the 1906 law, including radioactive beverages, the mascara Lash lure, which caused blindness, and worthless “cures” for diabetes and tuberculosis. The resulting proposed law was unable to get through the Congress of the United States for five years, but was rapidly enacted into law following the public outcry over the 1937 Elixir Sulfanilamide tragedy, in which over 100 people died after using a drug formulated with a toxic, untested solvent. President Franklin Delano Roosevelt signed the new Food, Drug, and Cosmetic Act (FD&C Act) into law on June 24, 1938. The new law significantly increased federal regulatory authority over drugs by mandating a pre-market review of the safety of all new drugs, as well as banning false therapeutic claims in drug labeling without requiring that the FDA prove fraudulent intent. Soon after passage of the 1938 Act, the FDA began to designate certain drugs as safe for use only under the supervision of a medical professional, and the category of “prescription-only” drugs was securely codified into law by the 1951 Durham-Humphrey Amendment. These developments confirmed extensive powers for the FDA to enforce post-marketing recalls of ineffective drugs. Medical Officer Alexander Fleming, M. D., examines a portion of a 240-volume new drug application around the late 1980s. Applications grew considerably after the efficacy mandate under the 1962 Drug Amendments. In 1959, the thalidomide tragedy, in which thousands of European babies were born deformed after their mothers took that drug – marketed for treatment of nausea – during their pregnancies, Considering the US was largely spared that tragedy because Dr. Frances Oldham Kelsey of the FDA refused to authorize the medication for market, the 1962 Kefauver-Harris Amendment to the FD&C Act was passed, which represented a “revolution” in FDA regulatory authority. The most important change was the requirement that all new drug applications demonstrate “substantial evidence” of the drug’s efficacy for a marketed indication, in addition to the existing requirement for pre-marketing demonstration of safety. This marked the start of the FDA approval process in its modern form. These reforms had the effect of increasing the time, and the difficulty, required to bring a drug to market. One of the most important statutes in establishing the modern American pharmaceutical market was the 1984 Drug Price Competition and Patent Term Restoration Act, more commonly known as the “Hatch-Waxman Act” after its chief sponsors. The act extended the patent exclusivity terms of new drugs, and tied those extensions, in part, to the length of the FDA approval process for each individual drug. For generic manufacturers, the Act created a new approval mechanism, the Abbreviated New Drug Application (ANDA), in which the generic drug manufacturer need only demonstrate that their generic formulation has the same active ingredient, route of administration, dosage form, strength, and pharmacokinetic properties (“bioequivalence”) as the corresponding brand-name drug. This act has been credited with in essence creating the modern generic drug industry. Concerns about the length of the drug approval process were brought to the fore early in the AIDS epidemic. In the mid- and late 1980s, ACT-UP and other HIV activist organizations accused the FDA of unnecessarily delaying the approval of medications to fight HIV and opportunistic infections. Partly in response to these criticisms, the FDA issued new rules to expedite approval of drugs for life-threatening diseases, and expanded pre-approval access to drugs for patients with limited treatment options. All of the initial drugs approved for the treatment of HIV/AIDS were approved through these accelerated approval mechanisms. Frank Young, the commissioner of the FDA was behind the Action Plan Phase II, established in August 1987 for quicker approval of AIDS medication. In two instances, state governments have sought to legalize drugs that the FDA has not approved. Under the theory that federal law passed pursuant to Constitutional authority overrules conflicting state laws, federal authorities still claim the authority to seize, arrest, and prosecute for possession and sales of these substances, even in states where they are legal under state law. The first wave was the legalization by 27 states of laetrile in the late 1970s. This drug was used as a treatment for cancer, but scientific studies both before and after this legislative trend found it to be ineffective. The second wave concerned medical marijuana in the 1990s and 2000s. Though Virginia passed a law with limited effect in 1979, a more widespread trend began in California in 1996. When the FDA requested Endo Pharmaceuticals on June 8, 2017 to remove oxymorphone hydrochloride from the market, it was the first such request in FDA history. The Critical Path Initiative is FDA’s effort to stimulate and facilitate a national effort to modernize the sciences through which FDA-regulated products are developed, evaluated, and manufactured. The Initiative was launched in March 2004, with the release of a report entitled Innovation/Stagnation: Challenge and Opportunity on the Critical Path to New Medical Products. The Compassionate Investigational New Drug program was created after Randall v. U.S. ruled in favor of Robert C. Randall in 1978, creating a program for medical marijuana. A 2006 court case, Abigail Alliance v. von Eschenbach, would have forced radical changes in FDA regulation of unapproved drugs. The Abigail Alliance argued that the FDA must license drugs for use by terminally ill patients with “desperate diagnoses,” after they have completed Phase I testing. The case won an initial appeal in May 2006, but that decision was reversed by a March 2007 rehearing. The US Supreme Court declined to hear the case, and the final decision denied the existence of a right to unapproved medications. Critics of the FDA’s regulatory power argue that the FDA takes too long to approve drugs that might ease pain and human suffering faster if brought to market sooner. The AIDS crisis created some political efforts to streamline the approval process. However, these limited reforms were targeted for AIDS drugs, not for the broader market. This has led to the call for more robust and enduring reforms that would allow patients, under the care of their doctors, access to drugs that have passed the first round of clinical trials. The widely publicized recall of Vioxx, a non-steroidal anti-inflammatory drug now estimated to have contributed to fatal heart attacks in thousands of Americans, played a strong role in driving a new wave of safety reforms at both the FDA rulemaking and statutory levels. Vioxx was approved by the FDA in 1999, and was initially hoped to be safer than previous NSAIDs, due to its reduced risk of intestinal tract bleeding. However, a number of pre- and post-marketing studies suggested that Vioxx might increase the risk of myocardial infarction, and this was conclusively demonstrated by results from the APPROVe trial in 2004. Faced with numerous lawsuits, the manufacturer voluntarily withdrew it from the market. The example of Vioxx has been prominent in an ongoing debate over whether new drugs should be evaluated on the basis of their absolute safety, or their safety relative to existing treatments for a given condition. In the wake of the Vioxx recall, there were widespread calls by major newspapers, medical journals, consumer advocacy organizations, lawmakers, and FDA officials for reforms in the FDA’s procedures for pre- and post- market drug safety regulation. In 2006, a congressionally requested committee was appointed by the Institute of Medicine to review pharmaceutical safety regulation in the U.S. and to issue recommendations for improvements. The committee was composed of 16 experts, including leaders in clinical medicinemedical research, economics, biostatistics, law, public policy, public health, and the allied health professions, as well as current and former executives from the pharmaceutical, hospital, and health insurance industries. 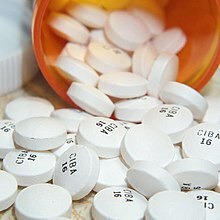 The authors found major deficiencies in the current FDA system for ensuring the safety of drugs on the American market. Overall, the authors called for an increase in the regulatory powers, funding, and independence of the FDA. Some of the committee’s recommendations have been incorporated into drafts of the PDUFA IV bill, which was signed into law in 2007. As of 2011, Risk Minimization Action Plans (RiskMAPS) have been created to ensure risks of a drug never outweigh the benefits of that drug within the postmarketing period. This program requires that manufacturers design and implement periodic assessments of their programs’ effectiveness. The Risk Minimization Action Plans are set in place depending on the overall level of risk a prescription drug is likely to pose to the public. Prior to the 1990s, only 20% of all drugs prescribed for children in the United States were tested for safety or efficacy in a pediatric population. This became a major concern of pediatricians as evidence accumulated that the physiological response of children to many drugs differed significantly from those drugs’ effects on adults. Children react different to the drugs because of many reason, including size, weight, etc. There were several reasons that not many medical trials were done with children. For many drugs, children represented such a small proportion of the potential market, that drug manufacturers did not see such testing as cost-effective. Also, because children were thought to be ethically restricted in their ability to give informed consent, there were increased governmental and institutional hurdles to approval of these clinical trials, as well as greater concerns about legal liability. Thus, for decades, most medicines prescribed to children in the U.S. were done so in a non-FDA-approved, “off-label” manner, with dosages “extrapolated” from adult data through body weight and body-surface-area calculations. An initial attempt by the FDA to address this issue was the 1994 FDA Final Rule on Pediatric Labeling and Extrapolation, which allowed manufacturers to add pediatric labeling information, but required drugs that had not been tested for pediatric safety and efficacy to bear a disclaimer to that effect. However, this rule failed to motivate many drug companies to conduct additional pediatric drug trials. In 1997, the FDA proposed a rule to require pediatric drug trials from the sponsors of New Drug Applications. However, this new rule was successfully preempted in federal court as exceeding the FDA’s statutory authority. While this debate was unfolding, Congress used the 1997 Food and Drug Administration Modernization Act to pass incentives that gave pharmaceutical manufacturers a six-month patent term extension on new drugs submitted with pediatric trial data. The act reauthorizing these provisions, the 2002 Best Pharmaceuticals for Children Act, allowed the FDA to request NIH-sponsored testing for pediatric drug testing, although these requests are subject to NIH funding constraints. In the Pediatric Research Equity Act of 2003, Congress codified the FDA’s authority to mandate manufacturer-sponsored pediatric drug trials for certain drugs as a “last resort” if incentives and publicly funded mechanisms proved inadequate. The priority review voucher is a provision of the Food and Drug Administration Amendments Act (HR 3580) signed by President George W. Bush signed the bill in September 2007 which awards a transferable “priority review voucher” to any company that obtains approval for a treatment for a neglected tropical diseases. The system was first proposed by Duke University faculty David Ridley, Henry Grabowski, and Jeffrey Moe in their 2006 Health Affairs paper: “Developing Drugs for Developing Countries”. In 2012, President Obama signed into law the FDA Safety and Innovation Act which includes Section 908 the “Rare Pediatric Disease Priority Review Voucher Incentive Program”. Since the 1990s, many successful new drugs for the treatment of cancer, autoimmune diseases, and other conditions have been protein-based biotechnology drugs, regulated by the Center for Biologics Evaluation and Research. Many of these drugs are extremely expensive; for example, the anti-cancer drug Avastin costs $55,000 for a year of treatment, while the enzyme replacement therapy drug Cerezyme costs $200,000 per year, and must be taken by Gaucher’s Disease patients for life. Biotechnology drugs do not have the simple, readily verifiable chemical structures of conventional drugs, and are produced through complex, often proprietary techniques, such as transgenic mammalian cell cultures. Because of these complexities, the 1984 Hatch-Waxman Act did not include biologics in the Abbreviated New Drug Application (ANDA) process, in essence precluding the possibility of generic drug competition for biotechnology drugs. In February 2007, identical bills were introduced into the House to create an ANDA process for the approval of generic biologics, but were not passed. In 2013, a guidance was issued to regulate mobile medical applications and protect users from their unintended use. This guidance distinguishes the apps subjected to regulation based on the marketing claims of the apps. Incorporation of the guidelines during the development phase of such app has been proposed for expedite market entry and clearance. The FDA has regulatory oversight over a large array of products that affect the health and life of American citizens. As a result, the FDA’s powers and decisions are carefully monitored by several governmental and non-governmental organizations. A $1.8 million 2006 Institute of Medicine report on pharmaceutical regulation in the U.S. found major deficiencies in the current FDA system for ensuring the safety of drugs on the American market. Overall, the authors called for an increase in the regulatory powers, funding, and independence of the FDA. Nine FDA scientists appealed to then president-elect Barack Obama over pressures from management, experienced during the George W. Bush presidency, to manipulate data, including in relation to the review process for medical devices. Characterized as “corrupted and distorted by current FDA managers, thereby placing the American people at risk,” these concerns were also highlighted in the 2006 report on the agency as well. The FDA has also been criticized from the opposite viewpoint, as being too tough on industry. According to an analysis published on the website of the libertarian Mercatus Center as well as published statements by economists, medical practitioners, and concerned consumers, many feel the FDA oversteps its regulatory powers and undermines small business and small farms in favor of large corporations. Three of the FDA restrictions under analysis are the permitting of new drugs and devices, the control of manufacturer speech, and the imposition of prescription requirements. The authors argue that in the increasingly complex and diverse food marketplace, the FDA is not equipped to adequately regulate or inspect food. [verification needed] In addition, excessive regulation is blamed for the rising costs of health care and the creation of monopolies, as potential competitors are unable to get FDA approval to enter the market to compete and keep health care costs down. However, in an indicator that the FDA may be too lax in their approval process, in particular for medical devices, a 2011 study by Dr. Diana Zuckerman and Paul Brown of the National Research Center for Women and Families, and Dr. Steven Nissen of the Cleveland Clinic, published in the Archives of Internal Medicine, showed that most medical devices recalled in the last five years for “serious health problems or death” had been previously approved by the FDA using the less stringent, and cheaper, 510(k) process. In a few cases the devices had been deemed so low-risk that they did not need FDA regulation. Of the 113 devices recalled, 35 were for cardiovascular health purposes. ^ The quoted text from the source indicates “9” but the actual count from the website indicates “14”. ^ “FDA Centennial 1906–2006”. US FDA. Retrieved September 13, 2008. ^ a b c “FDA Overview” (PDF). U.S Food and Drug Administration. Retrieved August 30, 2012. ^ “Animal Food & Feeds”. U.S Food and Drug Administration. Retrieved March 14, 2015. ^ “Prescription drug user fee act”. www.fda.gov. U.S Food and Drug Administration. Retrieved February 20, 2017. ^ McGinley, Laurie (May 9, 2017). “Scott Gottlieb confirmed to lead Food and Drug Administration”. Retrieved May 15, 2017. ^ a b “White Oak Campus Information”. U.S. Food and Drug Administration. February 9, 2011. Retrieved May 12, 2017. ^ “FDA’s International Posts: Improving the Safety of Imported Food and Medical Products”. U.S Food & Drug Administration. Retrieved April 10, 2010. ^ “About the FDA Organization Charts”. U.S Food and Drug Administration. August 29, 2014. Retrieved July 19, 2015. FDA is an agency within the Department of Health and Human Services and consists of nine Centers and Offices, which are listed on the menu to the left. ^ “Office of Operations Organization”. Organization Charts. U.S Food and Drug Administration. April 15, 2015. Retrieved July 19, 2015. ^ “Providing Easy Public Access to Prescription Drug, Over-the-Counter Drug, and Biological Product Labeling”. FDA Voice (blog). August 18, 2014. footer. Retrieved July 19, 2015. ^ Taylor, Nick Paul (March 10, 2014). “FDA informatics chief: NGS is an immediate priority for the agency”. Regulatory. FierceBiotechIT. Retrieved July 19, 2015. ^ Meyer, Eugene L. (February 24, 2009). “F.D.A. Consolidates at Former Navy Site”. The New York Times. Retrieved May 11, 2014. ^ “White Oak Campus Project Schedule”. October 8, 2015. ^ a b Harris, Gardiner (November 2, 2008). “The Safety Gap”. New York Times Magazine. ^ a b Wright, Rob (October 2013). “Drug Take-Back Programs – Coming To A Municipality Near You”. Editor’s Note. Life Science Leader. 5 (10). Pennsylvania, USA: VertMarkets at Knowledge Park. p. 6. ^ ElBoghdady, Dina (February 13, 2012). “FDA budget stays about the same at $2.5 billion”. The Washington Post. Retrieved August 30, 2012. ^ “FY 2008 Budget Summary”. U.S Food and Drug Administration. Retrieved March 14, 2015. ^ “Federal Food, Drug, and Cosmetic Act (FD& Act)”. U.S Food and Drug Administration. Retrieved March 14, 2015. ^ Gottlieb, Scott (June 19, 2018). “Statement from FDA Commissioner Scott Gottlieb, M.D., on new guidance to help manufacturers implement protections against potential attacks on the U.S. food supply”. FDA. Retrieved June 20, 2018. ^ “Joint Statement by President Obama and Prime Minister Harper of Canada on Regulatory Cooperation | The White House”. Whitehouse.gov. February 4, 2011. Retrieved February 26, 2011. ^ “PM and U.S. President Obama announce shared vision for perimeter security and economic competitiveness between Canada and the United States”. Prime Minister of Canada. February 4, 2011. Archived from the original on February 19, 2011. Retrieved February 26, 2011. ^ “United States-Canada Regulatory Cooperation Council (RCC) Joint Action Plan: Developing and implementing the Joint Action Plan”. Washington, D.C.: Office of the Prime Minister of Canada. December 7, 2011. Archived from the original on July 29, 2013. ^ “Notice: Regulatory Cooperation Council (RCC) Over-the-Counter (OTC) Products: Common Monograph Working Group: Selection of a Monograph for Alignment”. Canada’s Action Plan. Government of Canada. January 10, 2013. Archived from the original on November 8, 2014. Retrieved February 15, 2013. ^ FDA Approved Coatings vs. FDA Acceptable Coatings – DECC Company – DECC Company. Decc.com. Retrieved on October 23, 2013. ^ “New Drug Application (NDA)”. U.S. Food and Drug Administration. Retrieved November 20, 2012. ^ 21 CFR 202: Prescription Drug Advertising. ^ a b Nelson, LS; Loh, M; Perrone, J (June 2014). “Assuring safety of inherently unsafe medications: the FDA risk evaluation and mitigation strategies”. Journal of Medical Toxicology : Official Journal of the American College of Medical Toxicology. 10 (2): 165–72. doi:10.1007/s13181-013-0374-z. PMC 4057549. PMID 24414251. ^ Brown, WV; Bramlet, DA; Ross, JL; Underberg, JA (October 14, 2016). “JCL roundtable: Risk evaluation and mitigation strategy”. Journal of Clinical Lipidology. 10 (6): 1288–1296. doi:10.1016/j.jacl.2016.10.007. PMID 27919344. ^ Kovitwanichkanont, T; Driscoll, T (March 6, 2018). “A comparative review of the isotretinoin pregnancy risk management programs across four continents”. International Journal of Dermatology. 57 (9): 1035–1046. doi:10.1111/ijd.13950. PMID 29508918. ^ a b c d Cohen, Lynne (1990). “Government Policies and Programs – United States – Generic Drug Scandal”. The New Book of Knowledge – Medicine And Health. p. 276–281. ISBN 978-0-7172-8244-9. ^ “Therapeutic Equivalence of Generic Drugs”. U.S. Food and Drug Administration. 1998. Retrieved August 30, 2012. ^ “F.D.A. Details Problems at Drug Makers”. The New York Times. September 12, 1989. ^ Regulation of Nonprescription Drug Products FDA. Retrieved August 30, 2012. ^ “FDA CDER Handbook: Over-the-Counter Drug Products”. Archived from the original on May 12, 2009. Retrieved October 9, 2007. ^ Kliff, Sarah (August 3, 2014). “The FDA recently halted trials on a potential Ebola treatment”. www.vox.com. Vox Media. Retrieved August 4, 2014. ^ “About the Center for Biologics Evaluation and Research (CBER)”. FDA. March 2, 2017. Retrieved May 12, 2017. .
^ CDRH Mission, Vision and Shared Values Retrieved August 30, 2012. ^ “What does it mean when FDA “clears” or “approves” a medical device?”. U.S Food and Drug Administration. Retrieved March 14, 2015. ^ Ross G (2006). “A perspective on the safety of cosmetic products: a position paper of the American Council on Science and Health”. Int. J. Toxicol. 25 (4): 269–77. doi:10.1080/10915810600746049. PMID 16815815. ^ Modric, S (September 2013). “Regulatory framework for the availability and use of animal drugs in the United States”. The Veterinary Clinics of North America. Small Animal Practice. 43 (5): 1005–12. doi:10.1016/j.cvsm.2013.04.001. PMID 23890234. ^ “Does FDA have the authority to regulate tobacco products?”. U.S. Food and Drug Administration. ^ “Cigarette Makers, FDA Clash Over New Graphic Ads”. Fox News. September 22, 2011. ^ “Overview: Cigarette Health Warnings”. U.S Food and Drug Administration. Retrieved August 30, 2012. ^ Koppel, Nathan (September 12, 2011). “FDA Defends New Graphic Cigarette Labels”. The Wall Street Journal. ^ “Big Tobacco Gets Top First Amendment Lawyer for New Suit”. AdWeek. Retrieved March 14, 2015. ^ “Tobacco Cos. Get Allies in Warning Label Fight”. Convenience Store News. Retrieved March 14, 2015. ^ Esterl, Mike (November 8, 2011). “Judge Temporarily Blocks Graphic Cigarette Labels”. The Wall Street Journal. ^ “FDA Announces Plan To Cut Level Of Nicotine Allowed In Cigarettes”. ^ “N2018-123 / 2018 / News / News and media / Internet / Home – INTERPOL”. www.interpol.int. Retrieved February 8, 2019. ^ Commissioner, Office of the. “Press Announcements – FDA launches global operation to crack down on websites selling illegal, potentially dangerous drugs; including opioids”. www.fda.gov. Retrieved February 8, 2019. ^ “Transaction laundering in 2019 – time to review the monitoring strategy | The Paypers”. www.thepaypers.com. Retrieved February 8, 2019. ^ “About Science & Research at FDA”. U.S. Food and Drug Administration. June 18, 2009. Retrieved November 25, 2011. ^ a b c d e f “FDA History — Part I”. U.S Food and Drug Administration. Retrieved March 14, 2015. ^ Commissioner, Office of the. “Laws Enforced by FDA”. www.fda.gov. ^ “Milestones in U.S. Food and Drug Law History”. ^ Hamowy, Ronald (February 2010). “Medical Disasters and the Growth of FDA” (PDF): 7. Retrieved September 28, 2011. ^ Report of Congressman Morris Udall on thalidomide and the Kefauver hearings. ^ Temple, R (2002). “Policy developments in regulatory approval”. Statistics in Medicine. 21 (19): 2939–2948. doi:10.1002/sim.1298. PMID 12325110. ^ Frum, David (2000). How We Got Here: The ’70s. New York, New York: Basic Books. p. 180. ISBN 978-0-465-04195-4. ^ Karki, L. (2005). “Review of FDA Law Related to Pharmaceuticals: The Hatch-Waxman Act, Regulatory Amendments and Implications for Drug Patent Enforcement”. Journal of the Patent & Trademark Office Society. 87: 602–620. ^ “ACT UP/NY Chronology 1988”. Retrieved March 14, 2015. ^ “FDA Website: Expanded Access and Expedited Approval of New Therapies Related to HIV/AIDS”. Archived from the original on November 1, 2013. ^ “FDA report on accelerated approval process”. Archived from the original on May 25, 2009. ^ Richert, Lucas (2009). “Reagan, Regulation, and the FDA: The US Food and Drug Administration’s Response to HIV/AIDS, 1980–90”. Canadian Journal of History. ^ “Medicinal Marijuana: A Patient-Driven Phenomenon”. NPR.org. June 14, 2010. Retrieved March 14, 2015. ^ “The Rise and Fall of Laetrile”. Retrieved March 14, 2015. ^ “FDA requests removal of Opana ER for risks related to abuse” (Press release). Silver Spring, Maryland. U.S. Food and Drug Administration. June 8, 2017. Retrieved October 26, 2017. Today, the U.S. Food and Drug Administration requested that Endo Pharmaceuticals remove its opioid pain medication, reformulated Opana ER (oxymorphone hydrochloride), from the market… This is the first time the agency has taken steps to remove a currently marketed opioid pain medication from sale due to the public health consequences of abuse…[FDA Commissioner Scott Gottlieb, M.D. ]: “We are facing an opioid epidemic – a public health crisis, and we must take all necessary steps to reduce the scope of opioid misuse and abuse. ^ Commissioner, Office of the. “Critical Path Initiative”. www.fda.gov. ^ Innovation or Stagnation: Challenge and Opportunity on the Critical Path to New Medical Products FDA. Retrieved August 30, 2012. ^ “The US Government Has Sent This Guy 300 Joints Each Month for 34 Years”. September 9, 2016. ^ Free To Choose Medicine: How Faster Access to New Drugs Would Save Countless Lives and End Needless Suffering: Bartley J. Madden: 9781934791325: Amazon.com: Books. ISBN 978-1934791325. ^ Boldrin, Michele; Swamidass, S. Joshua (July 25, 2011). “A New Bargain for Drug Approvals”. The Wall Street Journal. ^ Bresalier, RS (March 2005). “Cardiovascular events associated with rofecoxib in a colorectal adenoma chemoprevention trial”. N. Engl. J. Med. 352 (11): 1092–102. doi:10.1056/NEJMoa050493. PMID 15713943. ^ “David Graham’s 2004 testimony to Congress” (PDF). (28.3 KB) Retrieved August 30, 2012. ^ “Food and Drug Administration Amendments Act (FDAAA) of 2007”. U.S Food and Drug Administration. Retrieved March 14, 2015. ^ Qato DM, Alexander GC (2011). “Post-Marketing Drug Safety and the Food and Drug Administration’s Risk Evaluation and Mitigation Strategies”. JAMA. 306 (14): 1595–1596. doi:10.1001/jama.2011.1457. PMID 21990303. ^ a b c d Politis P (2005). “Transition From the Carrot to the Stick: The Evolution of Pharmaceutical Regulations Concerning Pediatric Drug Testing”. Widener Law Review. 12: 271. ^ Ridley DB, Grabowski HG, Moe JL (2006). “Developing drugs for developing countries”. Health Aff (Millwood). 25 (2): 313–24. doi:10.1377/hlthaff.25.2.313. PMID 16522573. ^ “Section 529 Rare Pediatric Disease Priority Review Voucher Incentive Program, Public Law 112-144” (PDF). Public Law. July 9, 2012. Retrieved November 19, 2015. ^ a b “To amend the Public Health Service Act to provide for the licensing of comparable and interchangeable biological products, and for other purposes. (2007; 110th Congress H.R. 1038) – GovTrack.us”. GovTrack.us. Retrieved March 14, 2015. ^ “Mobile Medical Applications”. U.S Food and Drug Administration. Retrieved March 14, 2015. ^ Yetisen A. K.; Martinez-Hurtado J. L.; et al. (2014). “The regulation of mobile medical applications”. Lab on a Chip. 14 (5): 833–840. doi:10.1039/C3LC51235E. PMID 24425070. ^ Committee on the Assessment of the US Drug Safety System. (2006). The Future of Drug Safety: Promoting and Protecting the Health of the Public. Institute of Medicine. Free full-text. ^ Mundy A, Favole JA (January 8, 2009). “FDA Scientists Ask Obama to Restructure Drug Agency”. Wall Street Journal. ^ Williams, Richard; Robert Scharff & David Bieler (February 2010). “Food Safety in the 21st Century”. Mercatus On Policy. p. 71. ^ Jonathan (August 24, 2016). “The Lack of EpiPen Competitors is the FDA’s Fault – Jonathan Newman”. ^ Zuckerman, Diana M.; Brown, Paul; Nissen, Steven E. (2011). “Medical Device Recalls and the FDA Approval Process”. Archives of Internal Medicine. 171 (11): 1006–11. doi:10.1001/archinternmed.2011.30. PMID 21321283. Retrieved March 14, 2015. Kevin Fain, Matthew Daubresse, G. Caleb Alexander (2013). “The Food and Drug Administration Amendments Act and Postmarketing Commitments.” “JAMA” 310(2): 202–204 doi:10.1001/jama.2013.7900. Obenchain, Janel, and Arlene Spark. Food Policy: Looking Forward from the Past. CRC Press, 2015.